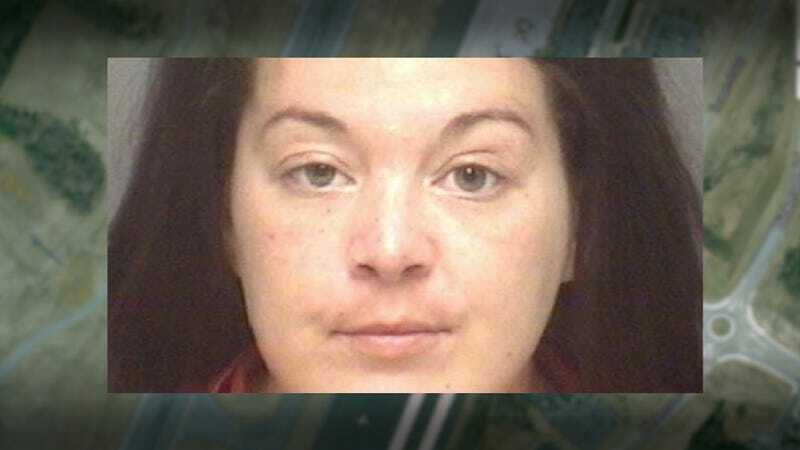 A reportedly intoxicated Christina Jewell, pictured, decided that her night of drunk driving wouldn't be complete without a little trip around Charlottesville, Virginia's small regional airport. Sadly for her, you can't just drive onto an airport runway. Luckily for her, car beats fence every time. According to NBC29, police responded to a call about an accident early this morning only to find the woman just driving around on the tarmac, although it's unclear if it was a joyride or she just got lost. Air Traffic Control stopped all incoming traffic, but the airport doesn't get any traffic until at least 5 AM most days anyways (I happened to fly out of CHO yesterday morning). A spokesman told reporters that "It's an airport so there are a lot of interesting things that take place here, but I would say this probably ranks up there with the best of them."